With its stately 19th century Haussmanian buildings, wide, leafy avenues and mostly upwardly mobile residents, the Passy neighborhood in the 16th arrondissement has become synonymous with chic. Yet it also boasts cute, hidden alleyways, quiet and fascinating museums that few ever bother to see, as well as top-rate yet unpretentious restaurants and fine boutiques. In short, it's got a whiff of Parisian village about it. Comparable to New York’s Upper East Side, the neighborhood offers some of the city’s most reputable schools and contemporary arts museums. It also hugs the western edge of the Seine River and is nearby one of Paris’s largest parks. Come here to see art exhibits, stroll through lavish gardens, or to simply amble aimlessly in its leafy streets. The Passy neighborhood is situated on the western side of the city in the 16th arrondissement, just east of the residential suburb of Boulogne. To the north is the 17th arrondissement, with the Seine River running along the eastern wall of the district, separating it from the 15th and 17th arrondissements. 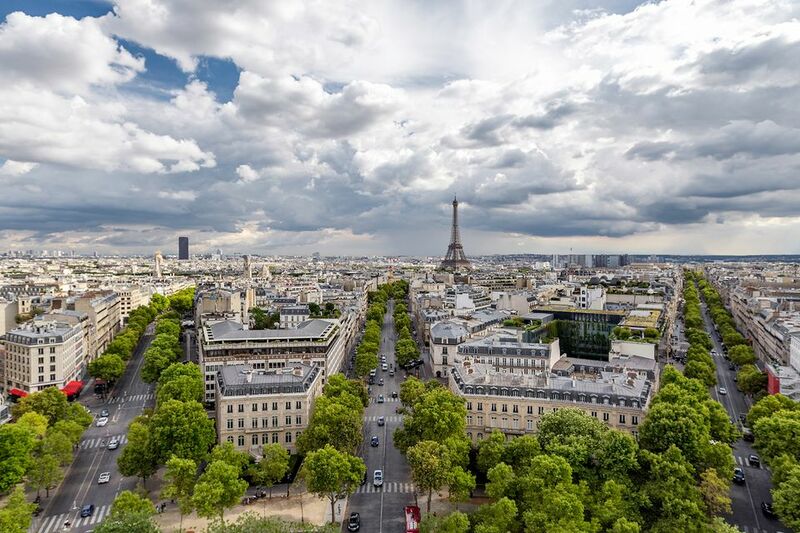 How to Get There: Stop at Alma-Marceau or Iéna on line 9 of the Paris Metro, or get off at Trocadéro or Passy on line 6 to check out the quieter side of the neighborhood, along the main arteries of Rue de Passy and Rue Raynouard. You can also take Line C of the RER commuter train to the Avenue du Président Kennedy or Boulainvilliers stations. From the exits, it's a bit of a walk to the area, but perfectly easy with the aid of a print or digital map. The 16th is the largest arrondissement in Paris in terms of land area. It is the only district to contain two postal codes: 75016 and 75116. Despite this, its population density is lower when compared to many other districts. The site for the Trocadéro Gardens, just across the Seine from the Eiffel Tower, once held a palace. Constructed for the World Fair in 1867, the Palais du Trocadéro boasted gardens, not to mention imposing statues of a rhinoceros and an elephant. It was later demolished in 1937 and turned into the Palais de Chaillot (holding several museums) and the elaborate Trocadéro gardens that stand on the site today. Fans of American history will appreciate that Benjamin Franklin lived in the neighborhood for a time, printing tracts there during the Revolutionary War period. A street in the area is named after the famed thinker, diplomat and inventor. Other celebrated residents have included the French classical music composer Claude Debussy and Italian composer Giuseppe Verdi. What to See and Do in and Around the Neighborhood? Maison de Balzac: This free museum is dedicated to the nineteenth-century French novelist, Honoré de Balzac, who lived and worked in this charming little house. See the writer's desk and explore the vast universe of his chef d'oeuvre, The Human Comedy. Trocadéro Gardens: Across from the Eiffel Tower on the opposite side of the Seine loom these magnificent, willfully pomp-filled gardens, featuring twelve fountains bursting water twelve meters high. Sit on the grass or admire the manicured greenery from the balcony above. The lawns are great for picnics, so stock up on some goodies at one of Paris's best bakeries or patisseries (pastry shops). Palais de Tokyo: This superb museum, set just northeast of the Trocadéro Gardens, is a relative newcomer to the city: it opened in 2002 and offers 22,000 square meters of quirky, avant-garde art. This is where you'll find legions of international art students loafing around and looking stylish. The temporary exhibits held here will guarantee that you stay connected to the pulse of the city's contemporary arts scene, too. Also make sure to reserve some time for sister establishment, The Modern Art Museum of the City of Paris, just next door. It also has superb collections, and its permanent collection is entirely free. La Maison de Radio France: This massive, cylindrical building, constructed in 1963 by Henry Bernard, houses seven French public radio stations and is situated along the river on the right bank. While its museum of radio and television history has been closed since 2007, the building is an impressive glance at one of France’s major media institutions. It merits a detour after a long walk along the Seine. Bois de Boulogne: At over double the size of New York’s Central Park, this two-plus acre green space and "wood" is the perfect place to get lost in on a sunny afternoon. Inside the park are numerous attractions that both adults and kids will likely enjoy, including two botanical gardens, several lakes, an amusement park and a zoo. In the summer, plays by Shakespeare and others are staged in the quiet charm of the-- you guessed it-- Shakespeare garden. Some are played in English, too. If you love second-hand shopping and top designer brands, you’ll be in heaven at this depot-vente in the 16th arrondissement. Its six aligning storefronts make it the largest luxury consignment store in Paris, offering clothing and accessories from Dolce & Gabbana, Armani, Gucci and Marc Jacobs for a fraction of the original price. The Noura chain of Lebanese restaurants has locations across Paris, but there’s nothing generic about the food. Bowls of creamy hummus, stuffed grape leaves, lemon-baked chicken, lamb skewers… let’s just say, you won’t go hungry. Good service, good food, and a pleasant ambiance... what more could you ask for? This charming Parisian wine bar and restaurant offers fresh, seasonal dishes and a wide selection of wines sourced directly from the owner's estates.